If you are an avid snowsports enthusiast, you know that a failure of outerwear can be a real buzz killer. If you’ve sat on a chairlift and watched beads of water soak through the jacket you thought was waterproof, or if you had wet circles around your shoulders where the seams failed, then you know what I mean. If you’re skiing at a resort, you can at least dry out inside and sulk over a beer. But if you’re in the backcountry, you could be heading for hypothermia. We can’t control the weather (cloud seeding aside), but we can control what we wear to deal with it. Your choices increase this season thanks to a new realm of jackets that feature technological advances which keep you dry and happy (instead of wet and miserable) and allow for greater breathability and mobility as you pick up the pace—up or down the hill. The performance of your shell can make the difference between an epic day and a miserable one. Know going into it that a well-made technical shell will run you at least a few bills donning Ben Franklin’s face. But the old adage applies here: you get what you pay for. Picking a jacket is similar to picking skis—it’s about where you get the most vertical. It’s also about how you move and whether you run hot or cold. The best thing about technical shells—thanks to innovations in waterproofing technology, fabrics and seam sealing—is that you now get to decide whether you want a hard shell, a technical soft shell or a hybrid. If I were packing for say, Whistler, I would choose a hard shell because the chance for intense precipitation is pretty high. Colorado gets light powder because of low water content and low humidity—but temps can be cold. I might choose a technical soft shell and layer with down underneath. 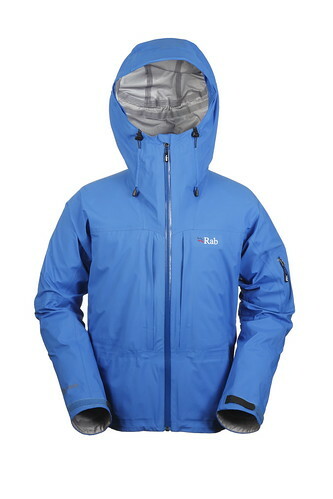 If I ski in the Northeast, where I come from, I’d go with a jacket that has storm protection and insulation. One more thing to consider: Am I skiing inbounds or out-of-bounds? I have a problem regulating temperature when I’m skinning and then skiing so I’d bring a jacket with all the bells and whistles: pit zips, helmet-friendly hood, cord locks, hem adjustments, glove-friendly zipper pulls and good pockets I can access on the chairlift or on the slopes without loosing all the contents inside. A hybrid (cross between hard and soft shell) has a soft hand and works well underneath a backpack. The best thing about technical shells—thanks to innovations in waterproofing technology, fabrics and seam sealing—is that you now get to decide whether you want a hard shell, a technical soft shell or a hybrid. When you’re looking for a jacket, you’ll see trademarked names on the hangtags. 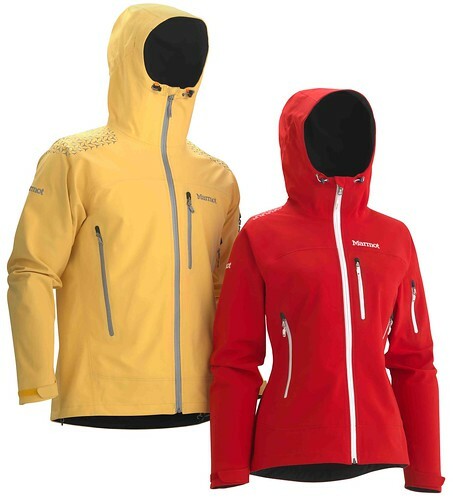 These tell you what technology is used to make the jacket waterproof and breathable. Gore-Tex has been synonymous with waterproof and breathable garments for over three decades. If you’ve heard rumors of the "Rain Room" or of Gore-Tex’s strict quality-testing procedures, I can confirm, after seeing one of the labs in Germany, that those rumors are true. And they have a "guarantee to keep you dry" promise—if you’re not satisfied with the waterproofing or breathablity, they will repair, replace or refund your jacket. Companies such as Patagonia, Burton, Arc’Teryx and many others utilize Gore products in their outerwear. A lightweight membrane made of PTFE (polytetraflouroethylene…say that three times fast) is laminated to the fabric, and in the case of the new Gore-Tex Pro Shell, includes three-layers: A durable Gore-Tex membrane bonded to a strong outer material and burly inner lining. There are other waterproof/breathable materials on the market that use membranes or laminates. 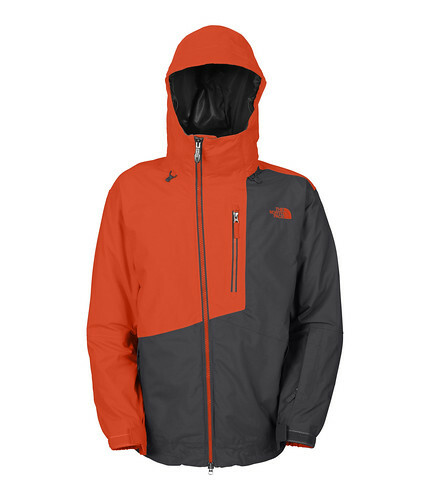 The North Face uses a proprietary material called HyVent, which employs a multilayer PU (polyurethane) coating for waterproof protection and moisture permeability. Rab, REI and 66 Degrees North use eVent—a waterproof/breathable membrane known for its breathability that uses Direct Venting technology to let moisture and sweat move through the membrane to the outside of the jacket. Polartec NeoShell—found in technical soft shells by Marmot, Mammut and The North Face—uses a proprietary membrane that’s waterproof and air permeable, and can “breath” through convection or circulation of air. One note about seams: Many high-tech jackets utilize seamless technology instead of fully taped stitched seams. Companies such as Arc'Teryx and Mountain Hardwear laminate their seams using heat, glue and pressure instead of stitching to minimize the chance of leakage around the thread holes. Companies such as Patagonia use sonic welding to reduce weight and bulk. Look for laminated seams or sonic welding if complete waterproofness and a slim silhouette are your top criterion—though keep in mind that this cool technology may mean a higher price on the hangtag. Dubbed a “minimalist hard shell,” the Super Pluma is light, durable and has a supple feel. Because of the three-layer Gore-Tex Pro Shell, you are guaranteed a super waterproof and breathable jacket. A waterproof and highly breathable soft shell may seem like an impossible engineering feat, but new Polartec NeoShell fabric combines insulation and weather protection with the stretch of a soft shell allowing you to shake your booty in harsh conditions and stay dry. This weatherproof snowboard jacket keeps you dry with The North Face’s proprietary waterproof/breathable technology called HyVent. Snow stays where it belongs—outside—with features such as an adjustable hood and grippy powder skirt. 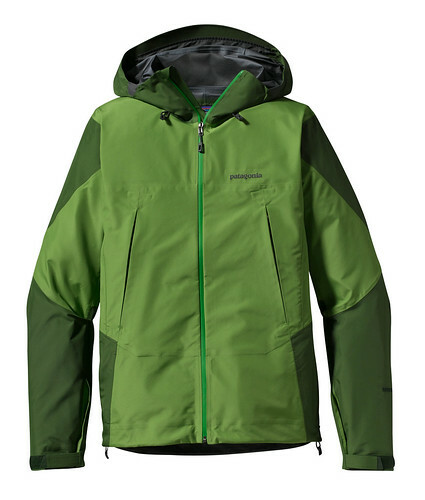 A weatherproof hard shell favored by backcountry skiers, the Alpine Tour has a streamlined look and mid-weight three-layer eVent fabric, which moves sweat through tiny holes in the membrane to the outside of the jacket so you stay dry when you skin or hike.